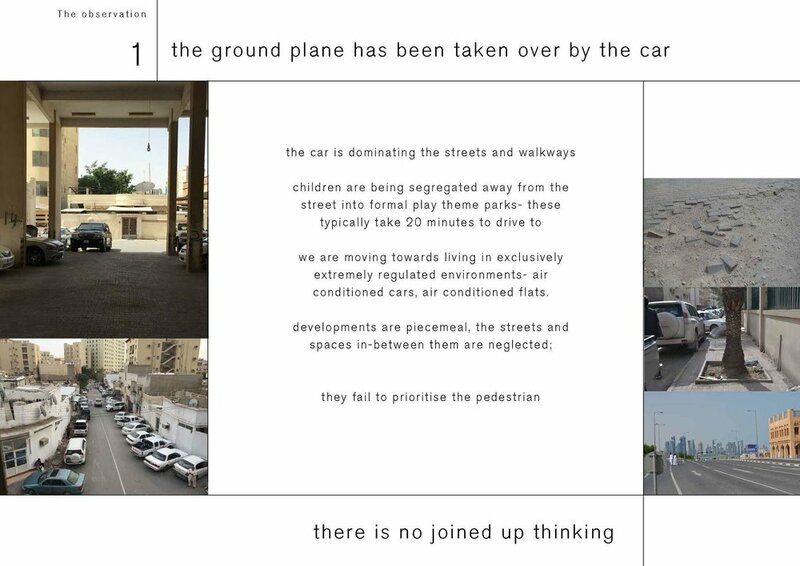 In 2016 we were invited by the British Council to take part in an international charette investigating Doha's urban realm and creating solutions that would make its unique urban landscape accessible to all. Our submission ‘City of Play’ won the Unlimited Doha Design Prize, and along with our multinational team of architects and designers, we are currently working on delivering the winning design. In considering Qatar’s status as home of the 2022 World Cup, we developed a proposal for linking pedestrian spaces throughout the city and uniting the current fragmented urban realm. This created a series of spaces in which children could play safely in the City of Play.